Hotel Russie : a review of the best luxury boutique hotel in central Rome. 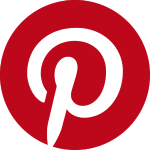 "Hotel Russie - the best in Rome (and possibly the world!)" The Hotel de Russie borders Piazza del Popolo. 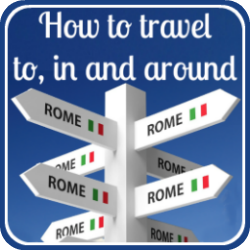 Wondering where to stay in Rome with kids? The Hotel Russie is the ideal place if you're looking for luxury hotels for kids in Rome. "Tradition with a twist" is how we would describe the boutique Hotel (de) Russie. A wonderful mix of Italy's culture old and new, it combines all the traditions of 18th Century Italian sophistication with contemporary style and service. It fits perfectly into the cultural mix in the city itself - history combined with an unmistakable Roman panache. 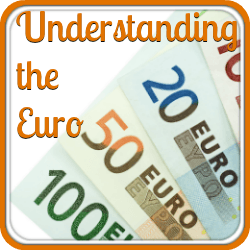 Our knowledge is based not just on staying at the Russie, but on visits and discussions we had with the manager and staff when we were planning our wedding in Rome. We absolutely loved it and it would have been our first choice had it had the views over the city we were looking for. Elegant reception room sets the tone. This is one of the best hotels for kids who like celebrity-spotting. As well as famous names they may not recognise - Picasso, the Russian royal family, Stravinsky - more recent celebrity guests have included Leonardo di Caprio, George Clooney, Naomi Campbell, Julia Roberts, Brad Pitt, Matt Damon and Stephen Spielberg. That list really sets the tone for the whole Hotel Russie experience. This is a beautiful boutique hotel in central Rome which successfully manages to combine tradition, opulence and luxury without any of the stuffiness that can sometimes mean. 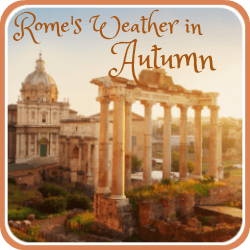 It's vibrant, modern and has a wonderful "Roman Holiday" feel. First opened in the early 1800s, the boutique Hotel Russie was considered the epitome of style and elegance in the 19th Century and, like the Hotel Danieli in Venice, (Italy) was considered the place to stay in Rome on the 'Grand Tour', which was the way young rich people in those days passed their time. During the second World War it was requisitioned by the occupying German army (the 5 star Hotel Hassler just down the road was the headquarters of the U.S. Air Force); afterwards it was used as offices for the Italian national media network, RAI. When they left in 1993 it lay derelict until it was taken over by the Rocco Forte chain and the Hotel Russie re-opened in 2000 as the contemporary, stylish hotel it is today. 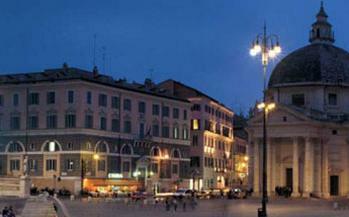 The Hotel Russie is in central Rome at the top of the Via del Babuino very close to the Piazza del Popolo. It's a great location for seeing the sights : the Trevi Fountain is a ten to fifteen minute walk away; St Peter's and the Vatican City fifteen to twenty minutes. Because it's a little further north than other city hotels the Colosseum in Rome is a bit further and will take something like thirty to forty minutes - although if you can't face walking that far the 'Flaminio' metro is a five minute walk from the hotel. "The Hotel Russie itself has a bit of a relaxed vibe and is set around a delightful courtyard, where you can sit for coffee, beer, cocktails etc. Or you can just sit. Part of the beautiful terraced gardens at the Hotel Russie. Everyone (including Mike and I), but everyone falls in love with the Hotel Russie gardens. They are, quite simply, stunning and when you sit in them, you would never believe you were in the heart of a busy, noisy, hot city. In its trademark blending of ancient and modern Rome, the Hotel Russie's 19th Century entrance opens into a beautiful marbled reception area, from which glass doors open onto a large courtyard whose huge white umbrellas shade the tables from the heat of the scorching sun of Rome's climate in summer and shelter you from the falling leaves of autumn in Rome. From there, climb up its winding stone staircase, past niches hiding Roman statues and tiny waterfalls to the gorgeous 'hidden gardens' where, in the warmer months, the gardens are lit by candles, roses and orange trees scent the air, food is served 'al fresco', and weddings celebrated with elegance and style. Recently, the innovative manager of the Hotel Russie has partnered with the World Wildlife Fund to create a stunning 'Butterfly Oasis' to preserve a dwindling city butterfly population. Following the gravel paths through the gardens up the side of the Pincio hill, you'll see hundreds of different species. 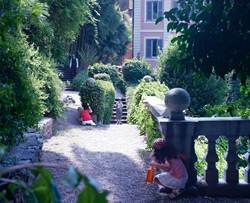 The gardens and butterfly reserve make this one of the very best hotels for kids in Rome. Your children will be encouraged to explore and learn - and you will love wandering in this most romantic setting. This is a Rome 5 star hotel at its absolute best. Public rooms are restful and stylish, leaving an image of 1940s glamour with a modern take. Bedrooms are furnished in an elegant, contemporary style giving the impression, even in the smaller single rooms, of space and luxury. Comfort combines with Italian style in accessories like Murano glass chandeliers and mosaic bathrooms, and rooms overlook either the buzzy Piazza del Popolo or the hotel gardens. The suites, as you'd expect, have added touches of luxury and are more spacious. Their price includes free unlimited internet access, a complimentary unpacking and pressing service, complimentary use of a mobile phone (for local calls only), free films and a check in service in the room. If you're able to pay the enormous cost of the Nijinsky Suite you'll also get a private dining area seating up to ten, a steam bath, a bar area, a 50" plasma screen television and a huge terrace overlooking the city complete with its own electric sun canopy. Worth it? - See the facility and prices table below and make up your own mind! The young, innovative staff group. "All the staff were excellent - friendly and couldn't do enough to make my stay a pleasant one. The staff group are what makes the boutique hotel Russie the vibrant place it is today. They're young, friendly and enthusiastic, which makes the Russie one of the best hotels for kids in Rome, and they combine that exuberance with a culture of innovatiion and paying attention to small details which makes it ideal for adults. Our own experience of the staff group at the Russie is that they're professional, respectful and helpful without being formal and they will do whatever they can to make your stay, or your wedding, memorable. In the warmer weather of spring and summer the courtyard is a vibrant bar and flows naturally into the restaurant which is in the 'hidden garden'. The food is sourced locally and the menu is a combination of Italian and more general Mediterranean cooking, and eating is accompanied by gentle piano music. If you prefer air conditioned dining, in winter or whenever the weather is too cool to sit outside, the restaurant is in the traditional Italian dining room, a welcoming area dressed in warm shades of red and lit by two beautiful Murano glass chandeliers. Although the hotel caters mainly for non-Italian tourists, the bar is often full of Romans - it's known locally as a great meeting point for well-off young professionals and for business people. In 2008 it was given the "Best Bar" award and voted the 'most convivial bar'. The restaurant too caters for non-residents but you will need to book in advance, particularly in the height of the summer. What else makes the Russie so special? The spa, or "Wellness Zone" as it's called, deserves special mention. 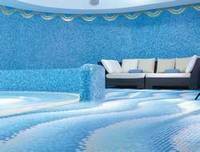 It's open to non-residents and known locally as one of the best spas in Rome. It's a great place to relax after a hard day's sightseeing. It doesn't have a swimming pool - very few hotels in Rome do - but it does have a large, salt water 'hydrotherapy pool', a jacuzzi, sauna, steam bath and gym. The fifteen staff are all qualified to give the most relaxing treatments ever - try the relaxing aromatherapy massage or - Cath's favourite - the hot stone treatment, to get over the wear and tear on muscles of days of sight-seeing in Rome. Their special wellness treatments are based on techniques developed in ancient Roman spas and include exfoliation as well as an aromatherapy massage. The Hotel Russie has very cleverly marketed itself as the Rome 5 star hotel which treats its guests as individuals. As part of that package staff will arrange more or less anything you want : a private guided tour of the Sistine Chapel and Vatican gardens when they're closed to the public, guided tours of Rome so satisfy personal interests : churches, ancient Rome, art, architecture, shopping - even half day Italian cookery lessons! Is the Russie a good hotel for children? to play in the gardens. It's one of the best hotels for kids we know - anywhere. 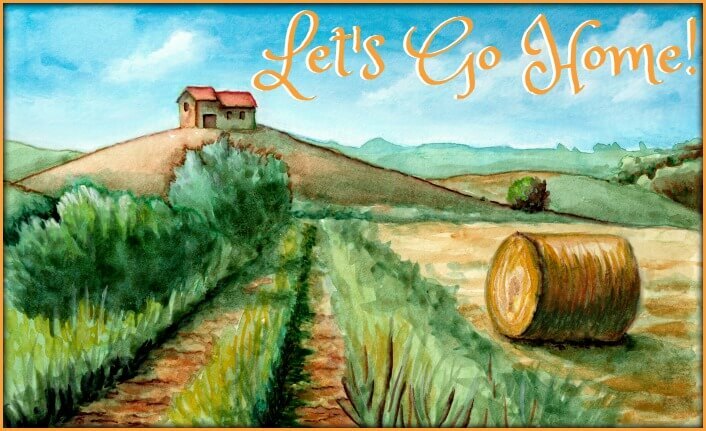 It's relaxed, friendly and for a family, the perfect place to stay in Rome. There is a children's menu in the restaurant, children are welcomed at the bar (and feel very grown up sitting in the Courtyard bar) and small kids will be given a gift on arrival. The staff can arrange a 'children's programme' designed to entertain kids and will tailor it to the specific age group. 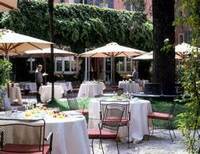 You're a family wanting a luxury boutique hotel in central Rome with an informal, relaxed atmosphere. You're a couple of any age wondering where to stay in Rome for a luxury romantic break. You're about to get married and want a stunning outside venue for your Italian wedding reception. 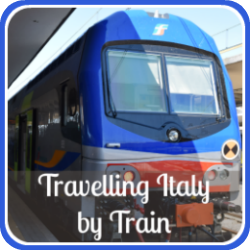 You're a single woman travelling alone - you'll feel safe, pampered and amongst friends. You're wanting a budget hotel for cheap Rome breaks. Enter your planned dates into the search box below (or check "I don't have specific dates yet"). Click on "Search" to be taken to the hotel's page at our partner's website, Booking.com. 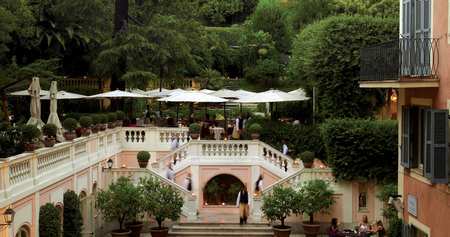 The Hotel Russie backs onto the gorgeous Borghese Park. A few yards from the top of the steps from the Piazza del Popolo into the park is the beautiful Casina Valadier - Mike and I had our wedding reception here. If you're looking for a special restaurant near the hotel which has an amazing view over Rome, a lovely menu and and an impressive wine list, this is the place to come. It serves meals both at lunchtime and in the evening, and there is a bar in the grounds which serves drinks and snacks. The Borghese Park also has bike hire, a lake, a puppet theatre, ice cream stalls and a lovely café, and at its northern end it's home to Rome Zoo. Climb up to the park from the Piazza del Popolo on a Sunday morning at any time of year and you'll find families enjoying it all - it's a great atmosphere. facilities at the Hotel Russie. Gladiator school - a special treat for kids in Rome!